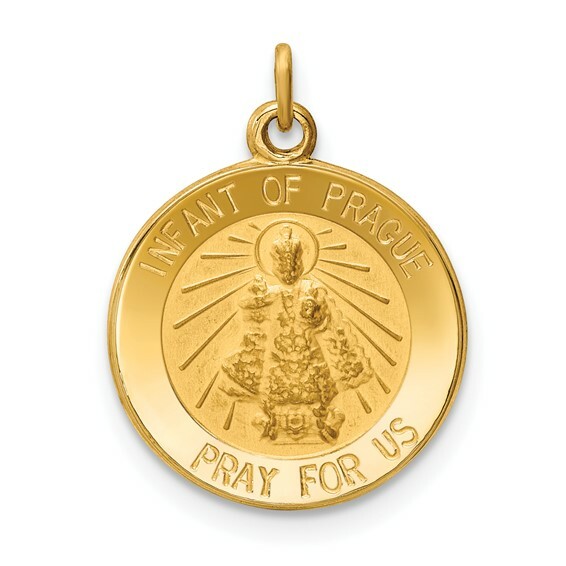 14kt Infant of Prague Medal Charm. Item measures 9/16 inch round without loop and bail. The Infant of Prague is the patron saint of family life, children, freedom, finances and vocations. The original statue of the Child Christ King is associated with numerous miracles.